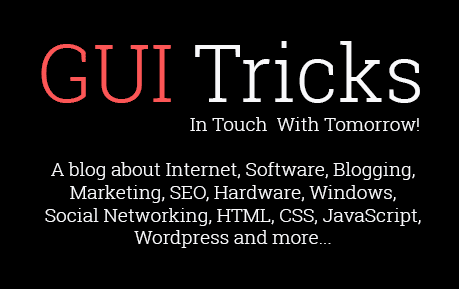 How To Enable Night Mode In Google Chrome For PC | GUI Tricks - In Touch With Tomorrow! How To Enable Night Mode In Google Chrome For PC - GUI Tricks - In Touch With Tomorrow! Google Chrome, One of the most popular, freeware and used browser in the world that is developed by Google. I think after knowing about it that Google is the developer, now no need to discuss more about Chrome here. Everyone knows about it and rely on it too. At this time, almost 60-65% active internet users are part of it, just because of its features, extensions, services etc. Protection, security, useful extensions, fast service and speed are the highlighted things that matter for every normal user. Everyone requires these things in her browser. So, in my views, Chrome is the only one that has a speed, lots of extensions, service and most important 'Trustfulness'. At this time, thousands of extensions are available on Chrome Web Store with different categories. Every chrome user can buy or download free as wish. So now you can imagine, why people select to Google Chrome as their default browser. Well! In this article, I'm gonna show a short and simple trick for Chrome users that will help to Turn ON night mode in Chrome. Normally, you need to enable Night Mode in Chrome, when you browse your Chrome late at night. While using it, light of the Monitor, LCD or LED definitely creates a disturbance for others. In this situation, you should use night vision extensions. By using night vision extension, your screen becomes dark like above image. Brightness of screen becomes light due to the darkness and you can use your Chrome easily late at night. So, in lots of night vision extensions, a best one I shared below. Try it and get a new experience of Night Mode. How To Turn ON Night Mode In Google Chrome? First, open your Chrome and go to the Chrome Web Store. You can directly go by clicking on this link. Once the store becomes open, then type in Search bar 'Hacker Vision' and press Enter. Actually, for Turn ON night mode, you need to install a Hacker version extension. If you're thinking that it may have a malware because of its name 'Hacker' then don't worry. It's free from any spam and you can rely on it. After the searching result, find the extension 'Night Vision' and install it in your Chrome. When you have done then an icon will be shown at the top of right corner. Simply open it and enjoy. This was a simple procedure for Turn ON Night Mode in Google Chrome. Basically, it's not a procedure. I just gave a link of extension. Just install it and enjoy night mode. There are also more other extensions available at Chrome Web Store for Turn ON Night Mode in Chrome. But this is most trusted extensions that I mentioned in this article. So, try it and also share your views via comment below. If you think, this article is helpful for you then don't forget to share it with others.